I first got put onto Slum Village from loving Jay Dee's production. Just like everybody else, I heard the stories of how Dilla got on through getting Slum's demo tape to Tip and Tip bringing Dilla into the fold with the whole Ummah production team and the rest is history. But even back in '97 I was wondering "well, what the hell did that Slum demo sound like?" Which then put me on a mission to find it. In a minute, I started hearing different Slum singles here and there and whether it was "Get This Money", "I Don't Know", "Fall In Love" or my favorite Slum jawn EVER "Players" I was loving everything I heard. The problem with "Fantastic Vol. 2" was all it did was put me on a manhunt to find "Fantastic Vol. 1" which was the demo that Tip heard. And when I tell you it took me years to find, I really mean it took YEARS to find. Now keep in mind these are pre internet days we're talking, so my diggin' was limited to used CD spots and hoping Tower Records would have an import version of it. But it wasn't til the internet popped up that I could finally get my hands on this infamous demo. Now, there were 3 main reasons that I NEEDED this jawn in my collection. Number one simply being that I love having hard to find stuff in my crates. Number two was I needed the original version of "Forth and Back" cause the version they dropped with Kurupt on "Fantastic 2" wan't the jawn I had heard years ago but could never get my hands on. And number 3, was I REALLY needed this track called "Beej N Dem!" Just like with "Forth and Back" I heard it years ago and it was another one of my fav Slum tracks but it wasn't on "Fantastic 2" either. So, lets just say when I finally did get my hands on "Fantastic Vol. 1" I was a VERY happy camper. But then tragedy seemed to starting hitting Slum from every angle. First Dilla left the group which was like the iceberg hitting the Titanic cause as much as I rocked with Baatin and T3, Dilla was the main reason I rocked with Slum. Then they added some cat named Elzhi (at the time I didn't know who dude was) to the group but then Baatin was diagnosed with schizophrenia and had to be hospitalized and then he was eventually kicked out the group. Then Dilla passed away in 2006, then Baatin passed away in 2009, then Elzhi (by this time we ALL knew who he was) left the group in 2010 and just like that Slum became a thing of the past. But even though Slum Village is no more, they've left a rack of DOPE music for us to help remember their legacy. And PLEASE don't get it twisted, and think that the only good Slum music was only on "Fantastic Vol. 1 & 2" either. Cause even after Dilla left the group, they stayed putting out dope music but you know what? 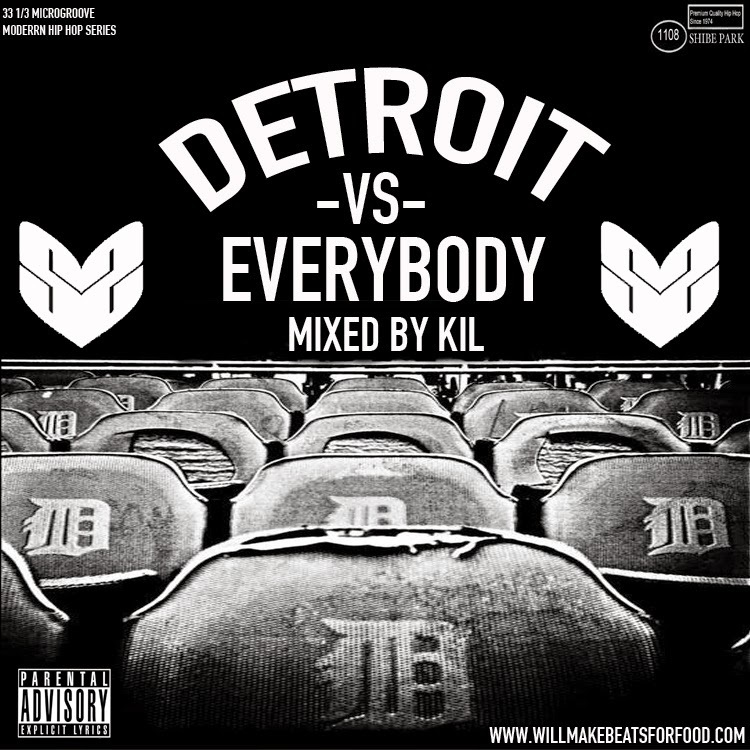 Don't take my word for it, all cats gotta do is check out my "Detroit vs. Everybody" mixtape that salutes one of my fav hip hop groups that A LOT of cats slept on. Salute.